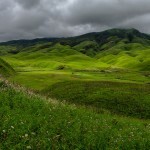 Ready to start with your monsoon trekking that is considered as one of the prettiest treks in India? Ah, then you surely have to visit Jammu & Kashmir. 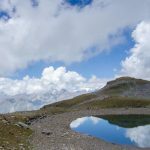 Not on every trekking expedition you are going to get the chance to see five beautiful alpine lakes. 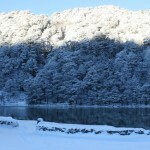 But it is the Kashmir Great Lake trek, wherein each lake competes with the beauty of the other. The snow that you see sliding down from the mountain to lakes, is basically what makes it prettier. The milky icebergs floating on the lake’s blue surface is no less than treat to the eyes. Would you leave the chance of hiking in the Himalayas and get a lifetime experience of the beauty of grassy shores of the lakes? Oh, that’s really going to be an amazing experience that you will cherish. Also, in the meanwhile just 100 ft. above the camp site and 0.5kms to the left, you’ll get to see the huge Vishnu Sar Lake which is covered by 4 mountains. Similarly, the Kishan Sar peak reflects in the lake which is a wonderful sight when the water is still. The starting point of the trek would be Sonamarg, which is 79.6kms via NH1 from Srinagar. If you are planning to travel by air then the nearest airport is the Srinagar International Airport which is 80 km away from Sonamarg and Jammu is the nearest rail-head to Sonamarg at a distance of some 360 km. Travel Tip: It’s always good to know the dos and don’ts before going on a monsoon trek in order to take precautions and stay safe from any mishappening. So as you trek through Kashmir Great Lakes, don’t forget to carry your necessary documents and ID proofs as they will be required at different army camps on the way. Also, don’t forget to pack your trekking poles to stay safe from the steep ascends and descends on the trek. How about a walk tour in the Himalayas where you can witness a variety of species of flowers like the sediams, lilies, poppy, daisies, zinnia, petunia, and the rare Brahma Kamal and many more. Sounds interesting, isn’t it? Being a nature lover, I felt the same when I visited the Valley of Flowers. The aroma of this enchanting place is wonderful and so it is one of the best and most visited places for trekking in India during the monsoon. For the animal lovers (and also not so fond of animals), you’ll get to spot animals that you might not have come across which includes Musk Deer, Red Fox, Blue Sheep, Brown Bear and a lot many. And yes, planning a trip to trekking high in the lofty Indian Himalayas of the Garhwal region, you just cannot miss out on exhilarating climb to the holy place Hemkund Sahib which is 14,300 ft. high and off course, you are going to enjoy the langar (meal) at the Gurdwara! The basecamp would be at Govind Ghat which is 291.4 kms (9 h 26 min) hours drive from Haridwar. You’ll be getting a complete itinerary, once you plan your trekking to the Valley of Flowers with the best travel company. Travel Tip: The valley is infested with leeches due to the monsoons. Do carry some lemon, salt or even dettol (pretty much handy) to quickly get rid of the leeches from your body. Tucking your pants in the socks at the ankle can also save your from the leeches. Sham Valley or ‘Apricot Valley’ is one of the easiest and the most enjoyable treks in the Ladakh region. The kind of trekking is suitable both for beginners as well as families. The best thing what I like about Sham Valley is that, it allows the individual to get well-acquainted with the simplicity of the lives of the Indo-Tibetans which include their festivals, rituals, hospitality and last but not the least, their cuisine. Coming across the Ang Village you’ll get to see the beautiful Apricot Orchards which appears to be truly mesmerising. Passing through the remote villages, the trekkers are offered to enjoy living in a homestay at the local houses, so that they can enjoy the Indo-Tibetan culture and above all the richness in the hearts of the people. So are you ready to make an entry to this blissful world this monsoon season? Don’t wait, plan the adventurous holidays to Sham Valley with your family or friends. So the starting point of your trekking will be Likir for which you need to arrive at the Leh airport and then hire a taxi that would take you to Likir (acclimatization at Leh is recommended) that covers 54 kms (approx 1 hr 18 min). If you wish to travel by road then you can take Manali-Leh route which is 472 kms. Away from the hullaballoo of the city life, the Chopta Valley is located in Garhwal Himalayas and is surrounded by the forest of oak, deodar and the rich bed of rhododendron. Considered as one of the beautiful treks in the Garhwal Himalayas, the trek passes through the meadows and unpaved trails. Other than this, the trek opens up to stunning peaks all through the way. The breathtaking features of the Garhwal Himalayas keeps one motivated so that one doesn’t get lost but make it till the end of the summit stretch at the Tungnath- the highest Shiva Temple in the world located at the height of 3,680 meters. Last but not the least, the journey displays the glimpse of the ancient culture of the local people along with the natural hues. Haridwar is the preliminary point to Chopta Chandrashila Trek which is easily accessible by air, train and road. If you are looking forward to travel by air, then board a flight to the Jolly Grant Airport which is 38.1 kms ( approx 1 hr ) away from Haridwar. The nearest railway head would be the Haridwar Junction Railway Station. 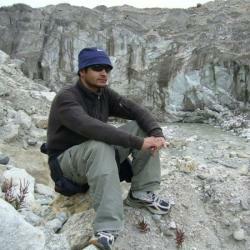 The actual trek begins from Chopta, a tiny hill station in Garhwal Region. You can even plan to take a road trip through NH58, which connects it to metropolises and other towns of the beautiful city. Best Time to Visit: You can plan your trekking to Chopta Chandrashila round the year. Although the trek covers certain areas where there is plenty of rainfall which could be a little unsafe. 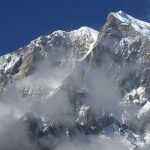 But if you are thrilled to do some adventurous trekking this monsoon year then seeking advice from the best travel company would be an ideal choice. Travel Tip: As already discussed above regarding the plenty of rainfall, the best thing to do is to prepare yourself thoroughly with regard to protective gears to endure the unpredictable mountain weather. Are you a mountain lover and want to experience the incredible trekking trail in the lap of the giants?? Well, then you’ve got to plan a trekking tour to the Hampta Pass in Himachal. The climb to the lush valleys to Kullu and the panoramic sweep of the Lahaul Valley, make the Hampta Pass a terrific crossover trek. Meanwhile, you’ll also get to see the immense fields of the beautiful rhododendron, oak and pine. And yes, you’ll be able to witness the immaculate high altitude alpine lake- Chandratal (where you’ll be camping for a night) which is few hours from Chatru where you also get to capture the splendid view of the Pir Panjal ranges. Ummm. the list is quite long but the whole trekking experience incorporates exploring beauty of nature at its best and yes it’s really going to excite those who have the zeal to satiate their wanderlust. The basecamp will be Manali (the actual trek starts from Jobra). So the nearest airport where you can get down for Hampta Pass Trek is the Kullu Manali Airport at the Bhuntar Town (approx. 52 kms away from Manali). Planning to travel by train? The nearest railhead is the Joginder Nagar (162.4 kms away from Manali). The other convenient railways stations are at Pathankot and Chandigarh. If you wish to drive down by your own car or take a bus ride then, Manali is well connected by road with Delhi, Chandigarh, Ambala, Dehradun, Shimla, Dharamshala, Chamba and Haridwar. Travel Tip: While you are trekking, never make an attempt to walk too fast or too slow as it can lead to premature fatigue. Also, don’t forget to keep an extra pair of shoes that is half a number larger than your actual shoe size, in order to avoid soreness or blisters. Along with it, try wearing double layered socks- a thin nylon followed by thick Turkish socks. Ready to start off your monsoon trekking with the mother of all treks? Yes, glorifying the Himalayan Region, Zanskar Valley is the traveller’s ultimate destination that extracts the best out of a traveller and gives him/her a lifetime experience. Traversing the difficult alleys at about 7756 meters above sea level is what makes it the mother of all treks! While you are on your trek and heading towards the southeast, you’ll come across Bardan Gompa where you can witness various stone carvings which testifies the fact that Zanskar was once inhabited by the nomads. Up for some cultural treat?? Trust me, you aren’t going to be disappointed. The valley revolves around Buddhism and beautiful monasteries where you can get amazing cultural insight and the sound of the prayers and chanting is truly soul-rejuvenating. Coming to doing some justice to your tummy, you don’t have to worry much about it either as you’ll get many stalls where you can enjoy tea and other refreshments. So why wait? Gear up for adventure monsoon travel! To reach Zanskar Valley, you have either travel by air or by bus. The nearest airport is Leh Airport from where one has to go to Padum ( approx 445 km). Difficulty Level: Moderate but still requires little experience. Looking for quick escape in the mountains?? Bhrigu Lake is yet another monsoon adventure gateway where you must plan your trip to! The reason why Bhrigu Lake has gained popularity is because the display of natural extravaganza and easy treks through the Himalayas. The beauty of the lake is that it shows up significant historical and religious implications. It is going to be so relaxing and peaceful when trekking to Bhrigu Lake. Not just this but there are a lot more which cannot be summarised here but if you really want to explore the breathtaking view of the Seven Sisters Peak, Hanuman Tibba, Cedar forest, lush green meadows and so much more, you need to start packing your bag to get an overwhelming experience of trekking. 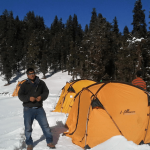 For trekking in Bhrigu Lake, you need to reach Manali either by air, train or road. Once you reach Manali, you need to drive to Gulaba and trek to Gulaba Meadows camp. Best Time to Visit: Starting from Mid May- Mid October, travellers are allowed to do the trekking, but the ideal time is before June or you can plan it after July to August. How would you feel if one fine day in the morning you wake up in the meadows of Kashmir? That’s no more a dream now but something that can come true. Yes, you read that right! Explore the magic of monsoon while trekking in Tarsar Marsar Lake of Jammu & Kashmir. As you begin to trek and climb higher to Tarsar, you are going to see an amazing sight of different kinds of grasslands that are vast enough to cover the entire valley. A walk in the spectacular meadows of Kashmir is something that you just cannot miss out. The forests and woods are the two elements that surrounds these grasslands and make them come alive. Talking about the camping opportunity while trekking, you’ll get to do it beside two beautiful lakes- Tarsar and Sundarsar. It doesn’t end here as you also get to pass by the amazing offbeat and elusive lake in Kashmir which is the Marsar Lake. The trekking starts from the Aru base camp for which you first need to reach Srinagar. The nearest railhead to Srinagar is Jammu (270.6 kms). The nearest airport is the Srinagar Airport. You can book your stay at any of the hotels in Srinagar and then head towards Aru Valley for your trekking journey to begin. So hikers, here you have the list of 8 best trek trails in India to explore! The above-mentioned places cannot be described in words rather it needs to be experienced. Oh did I miss any other monsoon trek in Himalayas? Do let me know in the comments below. 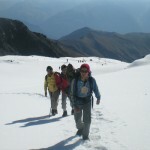 Share your plans or if you are looking for the more trekking sites in India then do let us know. To kickstart your trekking journey with “Trekking in India” give us a call us at 9212553109 or you can even drop us an email at info@trekkinginindia.com.